This EXCLUSIVE personalized Sister Gift talks about the special bond that exists between sisters. If your sister's birthday is coming up or if you want to give her a unique present on your wedding day thanking her for all of the great memories, this is a very sincere and meaningful poem for her. 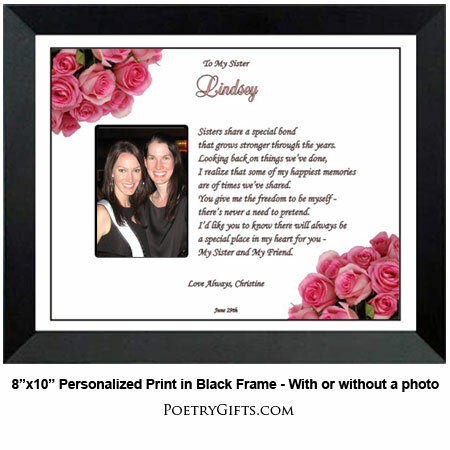 Personalize this Poetry Gift with names and a special message from you and there's no doubt this will be a treasured keepsake for your sister. The word "sister" denotes so many other titles, like friend, buddy, confidant, protector, teacher, caretaker, and, yes, sometimes even "therapist." 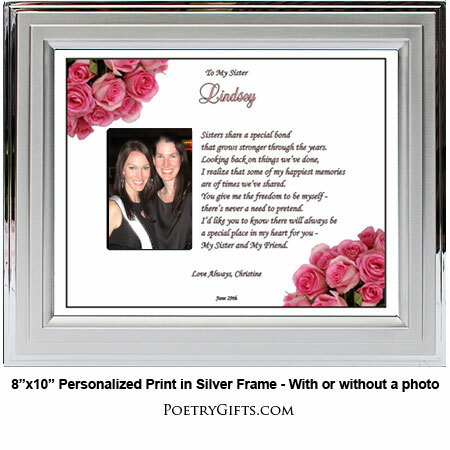 You know how much you value her...why not let her know with this beautiful personalized Poetry Gift! 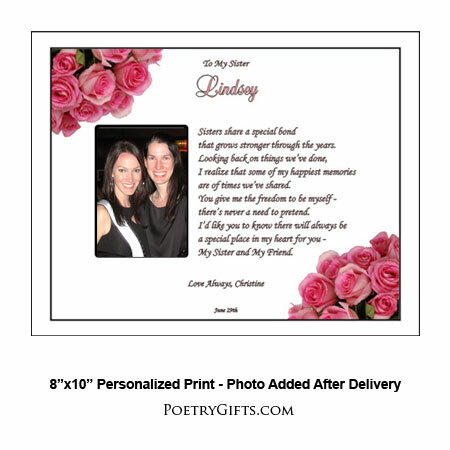 The "Sister Poem" is printed on quality specialty paper in a rose-corner design. You frame it or we can do it for you. ($19.95 is the unframed price) Add a favorite photo and this will be a treasured keepsake for your sister. 3. 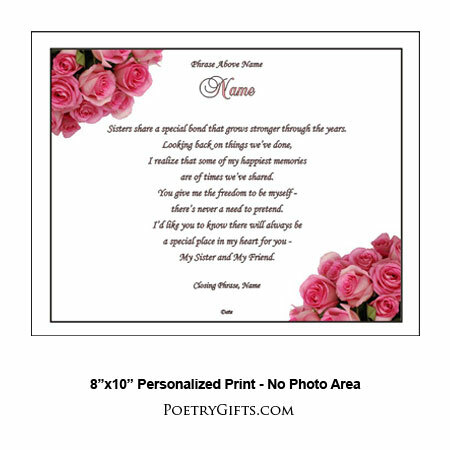 Closing Phrase and Your Name(s) (as seen after poem) - Examples: Love Always, With Love, etc." that grows stronger through the years. are of times we've shared. there's never a need to pretend.